Games. I love games. I say it all the time, but I just can’t say it enough. I just wish I had more time to play all the great titles coming out this year! If you also share my love of video games, you’ll probably be pretty happy to know that EA confirmed 2 new games at E3 this week: Need for Speed: Most Wanted and FIFA 13, with both titles coming to Android this fall. WIN. I’m a big fan of the Need for Speed series, and am pretty excited about getting my hands on the next installment. Although I’m not a big soccer/football fan, I really enjoyed FIFA 12 and the last Pro Evolution 2012 on my XBOX, and with the Euro Cup getting underway in Europe, I’m sure the new title will receive a very warm welcome. Gameplay wise, FIFA 13 won’t bring a whole lot of new elements to actual gameplay, but will focus more on improved graphics, mechanics, and a “fancier footwork” play style. Rosters will naturally be updated, and the game will also finally be fully integrated with the EA Sports Football Club service, meaning you will get all the features you would find on your console available on the Android version (EPIC). You’ll be able to port your FIFA 12 characters, their stats, and their level over to FIFA 13, and you’ll also have the chance to receive rewards and special bonuses. The title is set to launch on September 30th. 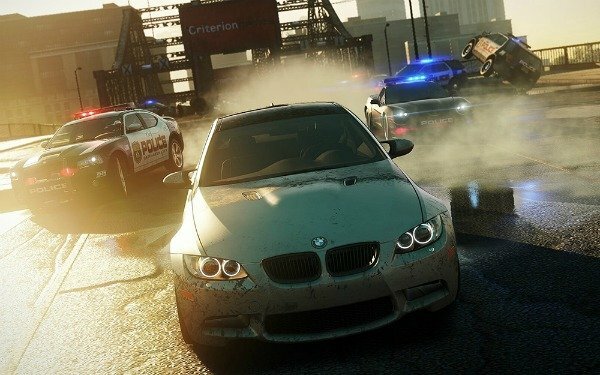 Need for Speed: Most Wanted is a title I’m very much looking forward to, as it will bring open world racing to Android phones and tablets (hopefully). You’ll find yourself racing against opponents, running from the police, and **drumroll** multiplayer. That's right folks. The multiplayer addition itself is quite possibly enough to make it the best Android installment yet. The title is set to launch on October 30th. I don't know about you guys, but I think both of the trailers are looking pretty damn impressive, and it’s really great to see more premium gaming titles coming to Android. Hands down bro. Pro Street was an EPIC disaster.